Welcome to Poison Prevention Week 2019! I began honoring this week last year with a talk about ionophores. To summarize, ionophores occur in antibiotics intended for cattle and poultry. Horses are extremely sensitive to these little molecules; the toxic dose for horses (by weight) is 18x lower than cattle and more that 150x lower than chickens! Manufacturers who mix feed for all livestock need to be mindful about their methods. If even the slightest amount of medicated feed gets missed in the cleaning (between batches) it runs the risk of contaminating your horse’s feed. This is why it’s so important not to simply buy a bag without knowing about the manufacture, it’s location, and it’s methods. 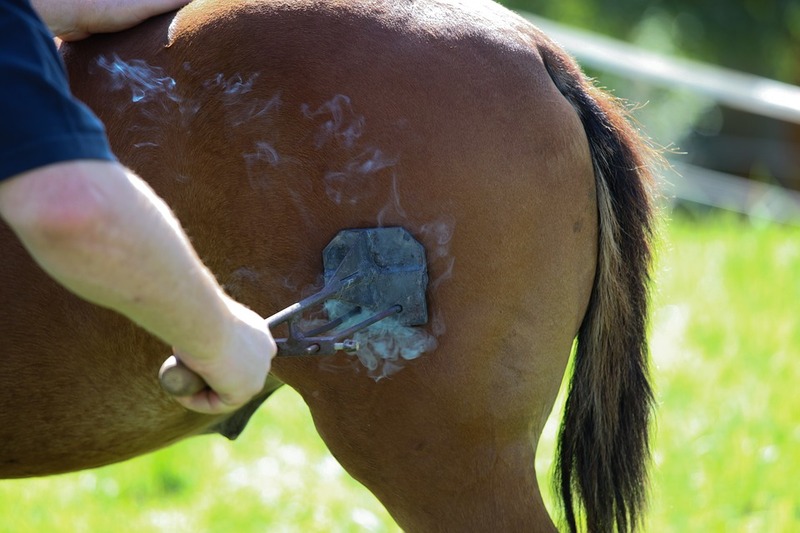 If you’re buying concentrates you owe it to yourself and to your horse to do the research! Read more in the link above! No horse owner intentionally puts their horse in danger. We pay close attention to sharp objects in the stall and pasture. We watch the ground for sharp objects that can puncture a hoof. We check our fencing. We clean our water buckets. 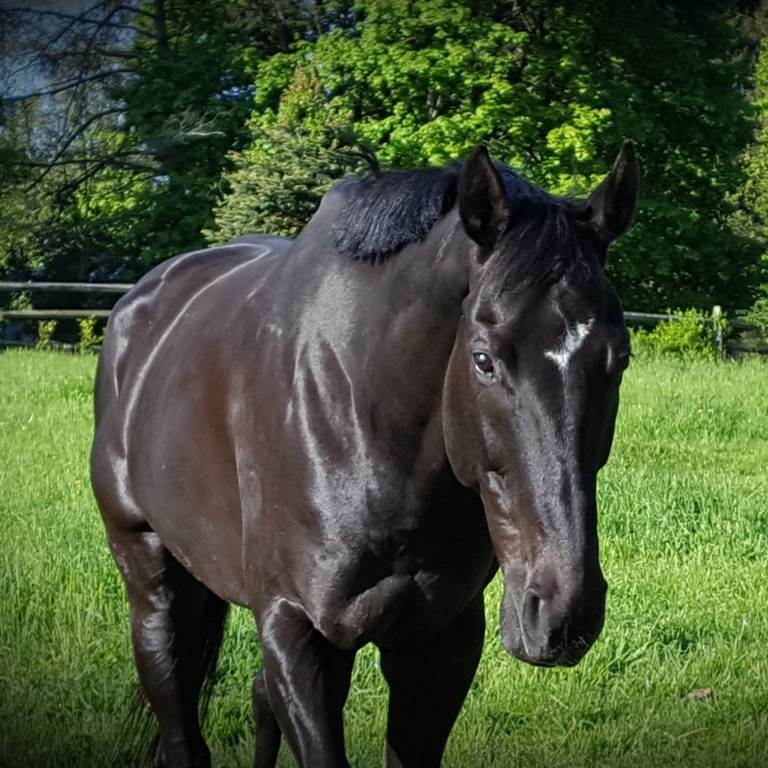 We groom our horses and do our best daily to provide them the best quality care possible. …If you’re like me you may even pay attention to which direction your clips face when you hang buckets…. Unfortunately there still lurks many dangers that are left unseen to our eyes. Dangers that can result in death if we fail to take precautions and pay attention. We talked about ionophores yet there is still so much left unseen that we need to explore. To date over 300 mycotoxins have been identified around the world. You won’t find them by lurking for them but they are there. Lurking in feed, lurking in bedding, and even lurking in overgrazed pasture. As you might already be aware from your life on this planet mold thrives in warm moist environments, therefore, mycotoxins are more likely to be an issue in these very situations. In fact, most research is often performed in South America and around the Mediterranean. One of the mycotoxins I’ll touch upon today is Deoxynivalenol (DON), often found in wheat, oats and other cereal grains. For being one of the most common mycotoxins it happens to be much less deadly than most of the others. Don’t get me wrong, though, it can still be deadly. In a study dating back to 1997 (Johnson et al) five healthy adult horses fed DON contaminated barley (36-44 ppm) for 40 days displayed no issues. That being said, another project in 1995 (Barnett et al) demonstrated that DON was present in grain from 100% of the colic cases studied. Of the healthy horses in the case they found DON in 70% of the feed. Another mycotoxin commonly found in the feed-room is aflatoxin. There are several species of mold that produce the toxin and there are four major sub-varieties of aflatoxin (they are differentiated by the color under fluorescent light). Horses who ingest the the toxins will often demonstrate “depression, inappetance, and weakness 5-7 days before the onset of sever illness and death.” It appears that that aflatoxin has a role in disrupting protein synthesis, which is vital for enzyme production. From here the who metabolism is disrupted and causes havoc in the body. Caloni and Cortinovis put together a nice review of several studies performed over the years. What I found interesting was that some of the research demonstrated the mold organism’s presence WITHOUT the presence of aflatoxin. It can be said that if the mold is not stressed than perhaps it does not produce the toxin…but who wants to risk it anyway? The third mycotoxin we will explore today is fumonisin. Mostly found in corn, scientists have discovered at least 15 varieties of fumonisin. When you see it studied for the equine world it’s often fumonisin B1 (FB1) they are referring to. Fumonisin attacks the central nervous system and a horse that is poison will present with neurologic issues. When you look up this mycotoxin you will likely also see Equine Leukoencephalomalacia (ELEM), a neurologic disease that often relates to poisoning. If you find a horse acting nervously, pressing it’s head against the wall, or circling call your vet. Horses are extremely susceptible. Ana-Marija Domijan wrote an excellent review article explaining Fumonisin B1. In the review a study was mentioned that found horses being diagnosed with ELEM with as little as 10 ppm. PARTS PER MILLION. As it has been explained, aflatoxin is similar in structure to a molecule called sphingosine and sphinganine. These two structures together create a complex fatty acid called sphyngolipids which play an important role in cell membranes and the central nervous system. Lumsangkul, Chompunut, et al. “Developmental Toxicity of Mycotoxin Fumonisin B1 in Animal Embryogenesis: An Overview.” Toxins, vol. 11, no. 2, 2019, p. 114., doi:10.3390/toxins11020114. Put simply, the alftatoxin fools the body. Since it resembles the other two components, FB1 inhibits ceramide synthase, an enzyme that facilitates sphyngolipid production. This results in neural tube defects, cell membrane disruption, and neuron degradation. The toxin also attacks the folate receptor and horses will be unable to absorb folate (vitamin B9). Wow that got very technical very quickly. Are you still with me? In research like this my inner biochemist goes all-out nerd and I try my best to put the concepts into terms we all can understand. Mycotoxins are definitely dangerous little compounds that result from mold, which thrives in warm moist environments. The three discussed here only scrapes the surface, but we can absolutely take measures to prevent mycotoxins from affecting us and our horses! For one thing let’s always store our feed in a cool dry place. I love using aluminum cans because they are easy to use and prevent pests from getting in. When you get to the bottom of the can, clean it out before refilling it. Don’t feed corn screenings because they are easily overlooked (plus your horse doesn’t need corn, let’s be honest). Research your feed manufacturer! Find out how often they test for mycotoxins and what the protocol is. Prevent stressing your pasture. Overgrazed, stressed pasture or a pasture that receives rain after a drought, can be a great host for mold. If you suspect any issues with your horse’s health it is ALWAYS best practice to call your vet. Take note of when you use a new bag of feed. Keep your feed tags until the bag is gone. The feed tag will tell you information about where it was made and the lot number; if there IS an issue with your feed the tag will allow the manufacturer to get information to its other customers and prevent poisoning in other horses. Remember to always check your vitals, too! (See Equine 101: Horse Vitals). THANK you for hanging with me on today’s technical talk. Let me know what you think. Is there anything you would like me to elaborate on? Anything I missed (or misinterpreted)? Is there anything else you’d like to know more about? Do you enjoy the periodic educational post? I aim to combine education with my personal story, so please tell me what you think of this concept. That said, please take some time to check out some of the amazing references. I have taken my time to read all of these and found them fascinating and incredibly informative. Burmistrova, N. A., et al. “Simultaneous Determination of Several Mycotoxins by Rapid Immunofiltration Assay.” Journal of Analytical Chemistry, vol. 69, no. 6, 2014, pp. 525–534., doi:10.1134/s1061934814060045. Domijan, Ana-Marija. “Fumonisin B1: A Neurotoxic Mycotoxin / Fumonizin B1: Neurotoksični Mikotoksin.” Archives of Industrial Hygiene and Toxicology, vol. 63, no. 4, 2012, pp. 531–544., doi:10.2478/10004-1254-63-2012-2239. Holland, Janice L. “The Danger of Mycotoxins – The Horse.” The Horse, 19 May 2014, thehorse.com/149054/the-danger-of-mycotoxins/. HorseJournal. “Mycotoxins Can Poison Your Horse.” Expert Advice on Horse Care and Horse Riding, 1 Oct. 2002, www.equisearch.com/HorseJournal/mycotoxins-can-poison-your-horse. “Horses.” Horses – Biomin.net, 20 Aug. 2018, www.mycotoxins.info/effects/horses/. Martins, Hermínia M.l., et al. “Occurrence of Fumonisins in Feed for Swine and Horses.” Revista Iberoamericana De Micología, vol. 29, no. 3, 2012, pp. 175–177., doi:10.1016/j.riam.2011.07.005. Monge, María Del Pilar, et al. “Activated Carbons as Potentially Useful Non-Nutritive Additives to Prevent the Effect of Fumonisin B1on Sodium Bentonite Activity against Chronic Aflatoxicosis.” Food Additives & Contaminants: Part A, vol. 33, no. 6, 2016, pp. 1043–1052., doi:10.1080/19440049.2016.1185923. Skelly, Christine. “Common Toxins in Equine Feedstuffs (E3061).” MSU Extension, Nov. 2008, www.canr.msu.edu/resources/common_toxins_in_equine_feedstuffs_e3061. Smith, Trevor K. “The Significance of Mycotoxins to Horses.” Stable Management, Equine Disease Quarterly, 17 Oct. 2014, stablemanagement.com/articles/significance-mycotoxins-horses-25673. Swamy, H.V.L.N. “Molds and Mycotoxins In Horse Feed: Basic Facts – The Horse.” The Horse, 11 Nov. 2010, thehorse.com/150231/molds-and-mycotoxins-in-horse-feed-basic-facts/.